For a parent, losing a child is the most devastating event that can occur. Most books on the subject focus on grieving and recovery, but as most parents agree, there is no recovery from such a loss. This book examines the continued love parents feel for their child and the many poignant and ingenious ways they devise to preserve the bond. Those left behind in the wake of suicide are often plagued by unanswered questions and feelings of guilt. Helping them to understand why the suicide happened, how suicide survivors commonly react and cope, and where they can find support can help them move forwards on their path from grief to recovery. Drawing on the testimonies of suicide survivors and research into suicide bereavement, this book provides those working with the bereaved with the knowledge and guidance they need. It covers common grief and crisis reactions, including those specific to children and young people, how suicide bereavement differs from other forms of bereavement, and how others have coped and been supported. It also addresses how the bereaved can move on, including advice on support networks including friends, family, professionals and other bereaved people. This book will be invaluable to all those supporting those who have been bereaved by suicide, including counsellors, bereavement support workers, social workers, and psychologists. In these reflections, the author, who has twice lost a child to death, offers grieving parents the empathy and courage that can come only from one who has walked the same difficult path. An art therapy book which helps children cope with a life-threating illness. Children are encouraged to express in pictures what they are often incapable of expressing in words. A comfortable way to have an advance talk with your parents about their wishes for life support, funerals, and other aspects of end-of-life healthcare. Whether you or someone close to you has received a terminal diagnosis, this period of time can be a final gift. This book offers guidance for the patient as well as support for the caregiver. When a parent is nearing the end of life, children can feel like their world has been turned upside down, and they are often scared and confused about what is happening. Sensitive and clear communication with children is vital to help them understand and cope with their parent's illness. This accessible book demonstrates how to support children through effective and sensitive communication, covering types of communication, language, information sharing, and overcoming common barriers. Developing confidence and skills such as talking, listening, giving children a voice and breaking bad news is also covered. The author outlines the concept of a 'communication continuum' which can be used to assess how much a child knows or understands about their parent's illness and how much they would like to know. The book contains a wealth of practical strategies and ideas, as well as case vignettes, practice tips and reflective exercises. Family members are often intimately involved in the care of dying people and themselves require support through both their experience of palliative care and bereavement. This book describes a comprehensive model of family care and how to go about it. This fully updated second edition of Grief in Children explains children's understanding of death at different ages and gives a detailed outline of exactly how the adults around them can best help them cope. Whether a child experiences the death of a parent, sibling, other relation or friend, or of a classmate or teacher, it is important for those caring for bereaved children to know how to respond appropriately to the child's needs. This book deals with a range of common physical and psychological responses and describes the methods of approaching grief in children that have been shown to work best. The author provides guidance on how loss and bereavement should be handled at school, explains when it is appropriate to involve expert professional help and discusses the value of bereavement groups for children and support for caregivers. Illustrated with case studies and incorporating current research, this book is essential reading for parents, carers, counsellors, teachers and all those concerned with the welfare of bereaved children. Incomplete recovery from grief can have a lifelong negative effect on the capacity for happiness. Drawing from their own histories as well as from others', the authors illustrate how it is possible to recover from grief and regain energy and spontaneity. Based on a proven program, "The Grief Recovery Handbook" offers grievers the specific actions needed to move beyond loss. Losing a loved one, at any age, is devastating. But if you�re a teen who has lost a sibling, this loss can feel even more so. Siblings are also lifetime playmates, confidants, role models, and friends. After losing a brother or sister, you may feel like a part of yourself is missing. You may also feel lonely, depressed, and anxious. These are all normal reactions. But even though the pain feels unmanageable now, there are ways you can start to heal. This book will help you understand your own unique coping style. You'll also find effective exercises based in cognitive behavioral therapy (CBT) to help you work through negative thoughts, and learn the importance of creating meaning out of loss and suffering. Most importantly, you'll learn when and how to ask for help from parents, friends, or teachers. Acknowledging the unique set of symptoms that accompanies a period of mourning, this guide is the ideal companion to weathering the storm of physical distress. From muscle aches and pains to problems with eating and sleeping, this handbook addresses how the body responds to the impact of profound loss. A little book that has proved to be a positive influence in the lives of many children who are experience grief. This book has things to do that are comforting and reassuring. What can we DO when someone we love dies. Grief can be all absorbing, especially in the teen years when emotions are such a predominant factor. Here are practical things to do, and they can help deal with grief. Following a helpful introduction about the role of spirituality in grief, this practical mourning guide suggests activities based on meditation, prayer, yoga, and contemplative solitude to help with feelings of despair. 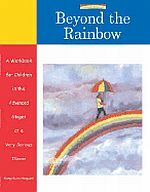 This acclaimed work presents a range of counseling and therapy approaches for children who have experienced loss. Practitioners and students are given practical strategies for helping preschoolers through adolescents cope with different forms of bereavement, including death in the family, school, or community. Grounded in the latest research on child therapy, bereavement, trauma, and child development, the volume clearly explains the principles that guide interventions. Featuring a wealth of new content, the third edition retains the case-based format and rich descriptions of the helping process that have made the book so popular as a practitioner guide and text. New to This Edition *Significantly revised and updated to reflect new information and approaches; 9 new topics covered. *Covers additional types of loss: war-related death in the family, deaths connected to natural disasters, and the loss of a pet. *Additional therapy modalities: cognitive-behavioral therapy and play therapy; conjoint caregiver-child treatment; and bereavement groups and camps. *Addresses how to help parents and teachers meet bereaved children's needs. *Includes 11 reproducible assessment tools and handouts that can be photocopied by book purchasers or downloaded and printed from Guilford's website. A practical guide for anyone who works or lives with children - parents, caregivers, counsellors, or teachers - to respond to their inevitable quiestions about loss and change, life and death. Provides strategies to assist children with grief and trauma and offers time-tested advice and language that children can understand. This fourth edition includes new material on dealing with the traumatic stress of a large-scale catastrophe, handling the repercussions of school violence, helping grandparents manage as caregivers, and advising employers about how to support employees going through a famly loss. This book has become the standard work on an important subject. A classic for over fifteen years, it continues to be a go-to book for supportive, practical advice, based on the lifetime experience and clinical practice of one of America 's leading child life practitioners. Fully revised and updated, this new edition also explores the major issues and developments from the last decade that affect children today, including the dangers and opportunities of the Internet, a deeper understanding of how hereditary diseases affect children, the impact of the nation's explosive growth in single-parent families, and new insights into how family trauma and a parent's mental illness may affect children. For seventeen year old Mia, surrounded by a wonderful family, friends and a gorgeous boyfriend, decisions seem tough, even when they're all about a future full of music and love, a future that's brimming with hope. A cold february morning...a snowy road...and suddenly all of Mia's choices are gone. Except one. As alone as she'll ever be, Mia must make the most difficult choice of all. Haunting, heart-rending and ultimately life-affirming, this book will make you appreciate all that you have, all that you've lost - and all that might be. This is a work of fiction, and as such is part of our collection only because it's message is one of such importance. When the New York Times bestseller Motherless Daughters was published in 1994, author Hope Edelman--through research, interviews, and her own experience--helped women deal with the pain of losing a mother. Now, Edelman presents a selection of the moving, insightful letters she received in response to her book. This book examines how key aspects of identity affect how individuals grieve. Variables explored include culture, spirituality, age and development level, class and gender. Children and teens who experience the death of a parent are never the same. Only in the last decade have counselors acknowledged that children grieve too, and that unresolved issues can negatively impact children into adulthood. With No Time to Say Goodbye, the author brings suicide survival from the darkness into light, speaking frankly about the overwhelming feelings of confusion, guilt, shame, anger, and loneliness that are shared by all survivors. Fine draws on her own experience and on conversations with many other survivors--as well as on the knowledge of counselors and mental health professionals. She offers a strong helping hand and invaluable guidance to the vast numbers of family and friends who are left behind by the more than thirty thousand people who commit suicide each year, struggling to make sense of an act that seems to them senseless, and to pick up the pieces of their own shattered lives. Uses nature to help children understand death, loss and change in a gentle and honest way. Full of creative activities, such as choosing an insect or plant and using it to draw a life cycle, or making a paper memory tree of happy and sad memories, it helps children learn about loss and death, the cycle of life and how to cope with and express feelings of sadness and grief. This book is ideal for parents and carers, teachers, therapists and counsellors to use with children aged 5+ who have suffered any type of loss or are dealing with change, or who are bereaved. This book offers important advice and guidance for school teachers and staff on what to do when a child is grieving. Explains the various aspects and stages of bereavement and offers useful insights into the concerns of children experiencing grief or facing an imminent bereavement. Addresses children's common fears and worries, dreams and nightmares, and acknowledges the effect of trauma on the grief process. This second edition includes a new section for adults on understanding the distress of a bereaved child and also a list of useful contacts. It is a fully photocopiable workbook that enables adults to deal with these issues sensitively and explains, for example, how to choose appropriate words to support the child. It will empower and equip adults working with bereaved children to encourage them to communicate their pain and understand the often contradictory emotions aroused by the death of someone close to them. Explains the important difference between grief and mourning and answers the questions to allow mourner's to allow themselves to grieve. Describes 10 touchstones that are essentail physical, emotional, cognitive, social and spiritual actions for you to take to help yourself heal. All religions promise to overcome death, but there's no set of religious or philosophical beliefs that ensures that life is always happy and secure. Rowe, an eminent psychologist, explains it is possible to create a set of beliefs, expressed in the religious or philosophical metaphors most meaningful to people. Thousands of children each year experience the death of a loved one before they reach the age of 18, and some 10 to 15 percent of them experience mental health problems, such as depression, as a result. One study found that childhood grief is correlated with low grades, sleep problems, moodiness, behavior problems, and an inability to concentrate. When a loved one dies, children are faced with a kaleidoscope of feelings, thoughts, myths, and questions. This workbook offers tools that you can use to help a grieving child in your life deal with these feelings. The first section of Why Did You Die? is for adults. It describes a child's grief process and what can be expected as it progresses. The latter section includes activities you can do with a grieving child. Using an art therapy approach, the activities guide the child through the issues he or she must eventually confront. Different activities help the child express difficult feelings, separate myths from facts, and understand the finality of death. This direct yet non-threatening, secular approach will help children learn, grow, and thrive.